With a stay at Hotel Nazionale in Desenzano del Garda, you'll be within a 10-minute walk of Port of Maratona and Desenzano Castle. Featured amenities include express check-in, complimentary newspapers in the lobby, and dry cleaning/laundry services. Free self parking is available onsite. Located in Noto, Hotel Club Eloro is a 1-minute drive from Eloro Beach and 6 minutes from Eloro Archaeological Site. Free self parking is available onsite. Located in Rodi Garganico, Agriturismo Nardini is a 1-minute drive from Gargano Promontory and 8 minutes from Rodi Garganico Marina. Free self parking is available onsite. With a stay at this apartment in Portovenere, you'll be within a 10-minute drive of Doria Castle and Porto Venere Regional Natural Park. A stay at LHP Suite Piazza del Popolo places you in the heart of Rome, steps from Spanish Steps and Piazza del Popolo. 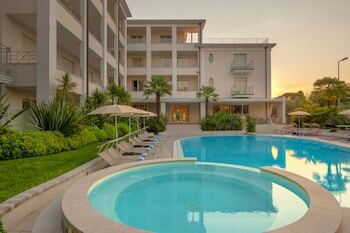 A stay at Affittacamere il Viaggiatore places you in the heart of La Spezia, steps from Gulf of La Spezia and 3 minutes by foot from Church of Santa Maria Assunta.